It worked !!! .. we’ll see how long it lasts !!! 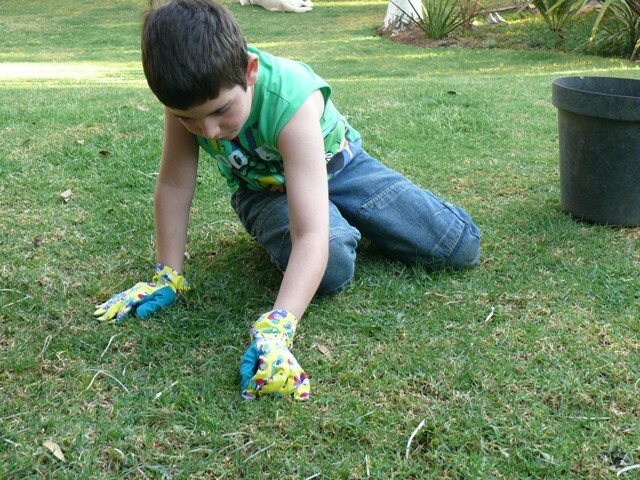 Gardening Lesson One : What’s a weed .. and what’s not a weed …. they weeded with gusto ! “Look, Granny .. I got one too !!! 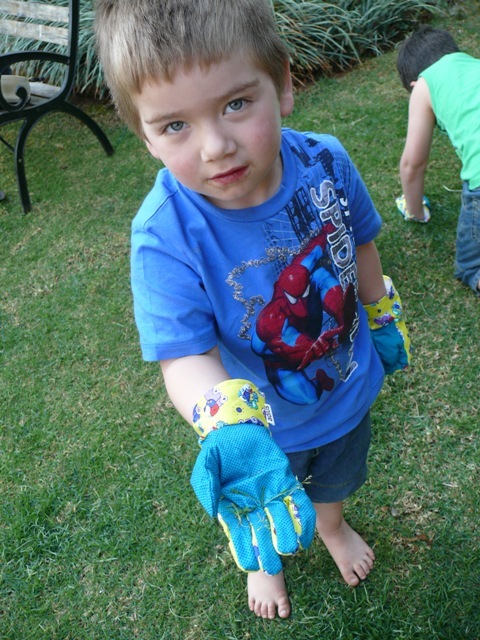 Gardening Lesson Two : What to cut and what not to cut … they cut with gusto !! …. scissors in a three year old’s hands are rather dangerous !! … str..e..tch … str..e..tch … snip … snip !!! .. your house is on fire ..
… and it was yummy too !!! ABSOLUTELY !!!!! 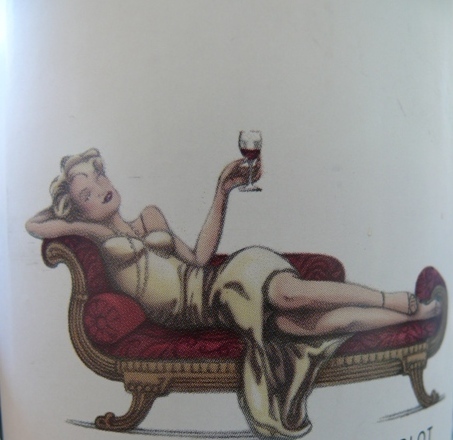 LOVE the label on the wine bottle. I would be so disappointed if the contents weren’t good too. Good call on the gloves. I hope they use them for a long time. Oh My! That wine bottle is AWESOME! LOL love that wine bottle! That label is stunning. 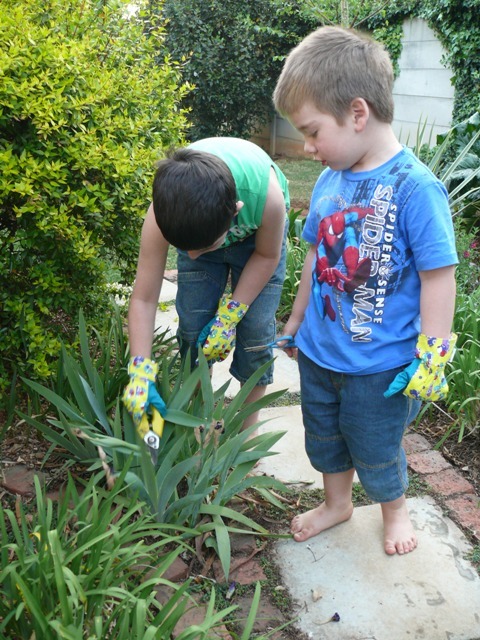 I am also trying to get the kids into gardening a bit. LOL! Love that wine bottle and the series of the lady bug. 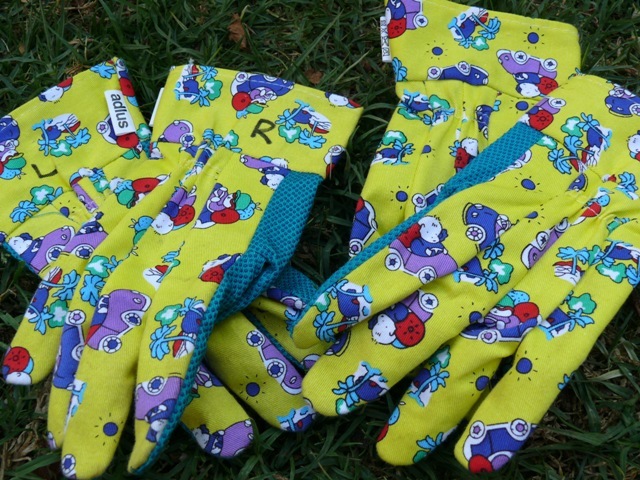 And gardening gloves were brilliant!! 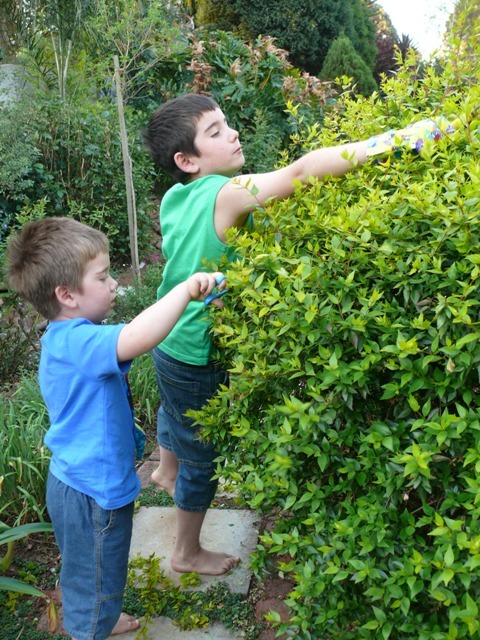 Your little helpers look so cute! 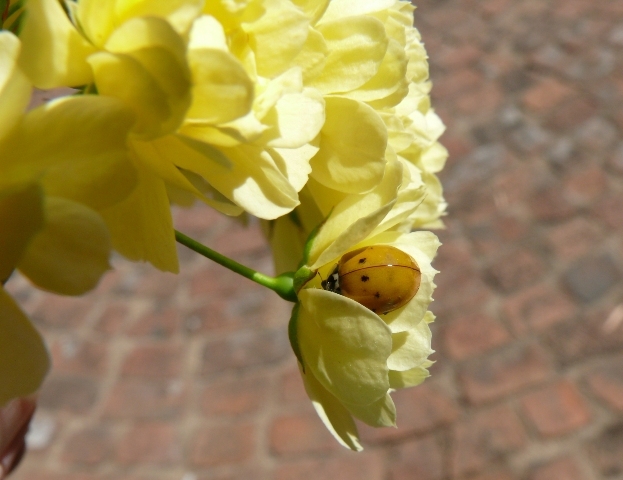 I love to see Spring on your blog, I like it a lot more than Fall where I am. That wine bottle is awesome! Thanks for the link to Jeanette’s blog. I can never see enough pictures of Connor! He’s such a sweet little fellow!